In July 2018, Dr. Lee joined the University of Florida (UF) as a Professor of Biostatistics in the College of Medicine and the College of Public Health and Health Professions, Department of Biostatistics and a Full Member of the University of Florida Health Cancer Center (UFHCC). In addition to this role, she took the role as Director of the Division of Quantitative Sciences and the Biostatistics Shared Resource of the UFHCC where she oversees the day-to-day functioning of the Resource. Dr. Lee is elected American Statistical Association (ASA) Fellow. 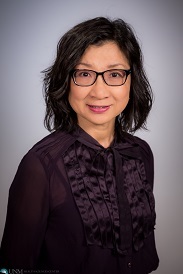 Prior to joining UFHCC, Dr. Lee was Director of the Biostatistics Shared Resource at the University of New Mexico Comprehensive Cancer Center (UNMCCC) for 4 years and a Full member of Biostatistics at the Moffitt Cancer Center for 11 years. In the previous Comprehensive Cancer Centers, she collaborated with several Clinical Research Programs, Cancer Biology and Molecular Medicine Program, and Cancer Control and Population Health Program on numerous studies. Dr. Lee’s research interests include clinical trials, group randomized trials based on communities, methods for repeated measurements, Bayesian approach and best statistical practices. During her tenure at the UNMCCC and Moffitt Cancer Center, Dr. Lee served on the Protocol Monitoring Review Committee and the Scientific Review Committee as Head of Biostatistics Clinical Trials and a statistical reviewer, respectively. In addition, she taught a course, Design and Conduct of Clinical Trials, at the University of South Florida for 5 years and founded the BIOS 101 course for cancer researchers at the UNMCCC and Moffitt. Dr. Lee has authored over 132 peer-reviewed articles, particularly focused in skin cancer, breast cancer, and population science. Her training and extensive experience have given her an excellent working knowledge of P30 Cancer Center Support Grants and the biostatistical needs of NCI-Designated Cancer Centers.